When running your business out of an office, spending money on non-necessities can feel frivolous. Especially if your business is small, it’s important to prioritize spending wisely. So when is it a good time to update the interior of your office? How is it worth your while to put the money into such a project? After all, a slightly outdated interior isn’t hurting anything, right? Well, it might be! Let’s see why it’s worth it to give your workplace an update. When you spend a third of your day inside an office, it kind of becomes a second home. I’m sure you don’t have to be reminded how much time and dedication you put into your job. Any employees sharing your office space feel the same way. 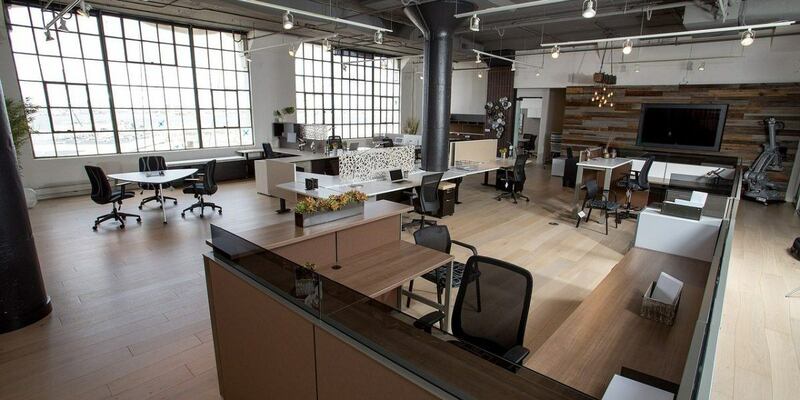 Having a badly outdated office space can really drag down employee morale. That means less productivity and less enthusiasm. It could be anything from bad lighting to that one outlet that won’t work. Each little thing that a person finds bothersome about a place they spend so much of their time will bring down their mood. This includes you! Surely, spending your time working from somewhere that reminds you of an old dentist’s office from the eighties isn’t going to make you feel good about your professional accomplishments! The way your office looks is going to feel like a reflection of your success, so do yourself a favor and fix it up to be more honest. An updated interior will make everyone in your office, including yourself, feel better about working there. It will inspire more ingenuity and get rid of that desperate need count down the minutes of the last hour you’re working. Many office spaces are accessible to clients and customers. It could be that your office is where valuable clients come to schedule appointments or wait to meet with someone. That means your office is the representative environment of your business. Just like a speaker who’s considered the face of a company, the office, to many, works the same way. When people come in to your place of business and see outdated desks and old, cheap waiting room chairs, that will affect their opinion of your business. It isn’t always a conscious decision for them to judge your book by its cover, but they will. It’s just how the human brain works. If they see an unappealing interior, they will associate bad aesthetic with your brand. Because of how valuable your business’ appearance is to customer satisfaction, it more than pays to update. Even just updating the waiting area, if you have one in your office, will work wonders for this. Environment is important for a business. That’s why Heidan Construction is ready to help you with an environmental facelift. Just contact us when you’re ready and we can discuss update plans for the office you’ve worked hard for.